Prior to the start of the 2018 season, the Miami Marlins will install new netting offering additional protection for those fans seated along the baselines at Marlins Park. Manufactured by Dyneema, the new netting is a state-of-the-art knotless fiber that will provide exceptional protection and is purposely designed to blend into the playing surface. It is 30% thinner than the existing netting behind Home Plate, offering greater visibility of game action. The new netting, extending the length of both dugouts at a height of 30 feet, will taper to the end of the camera wells, and provide additional protection for fans located in sections 8 through 10 and 19 through 21 and will be in place for Miami's Spring Training exhibition game vs. the University of Miami Hurricanes on March 27 at 3:10PM. 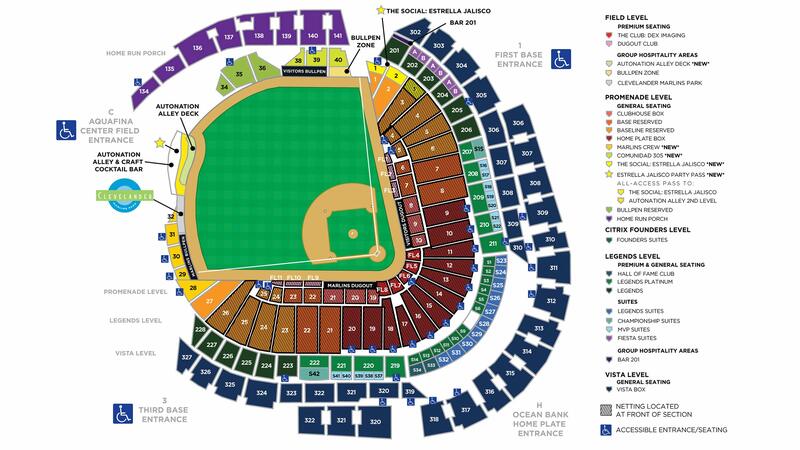 The Marlins' installation of the additional netting exceeds Major League Baseball's Fan Safety Recommendations, with the organization having already been in compliance with Major League Baseball's guidelines pertaining to protective netting. Season Ticket Members affected by these changes have received communications from the Miami Marlins, and will continue to be updated with latest information. 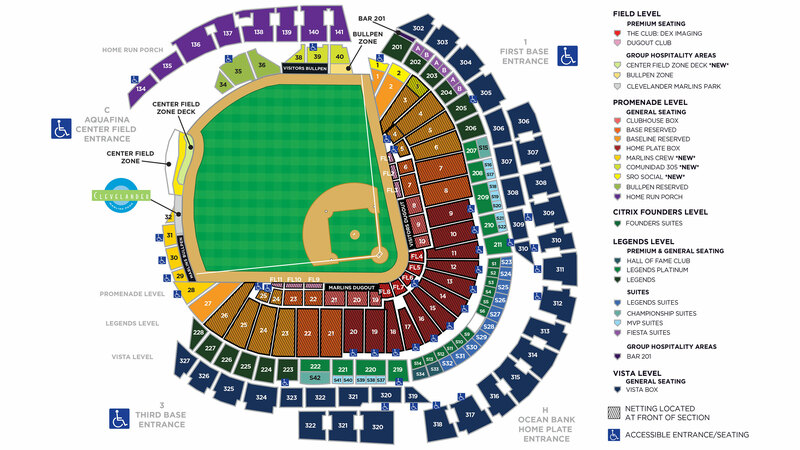 Ticket purchasers with questions may contact the Miami Marlins Ticket Office at 305.480.2521.